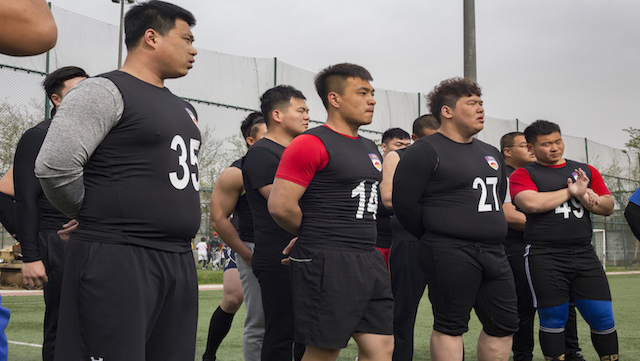 Brilliant blue skies and hundreds of brilliant smiles marked this historic day in Beijing, as the China Arena Football League held their first-ever official invitational tryout and combine. 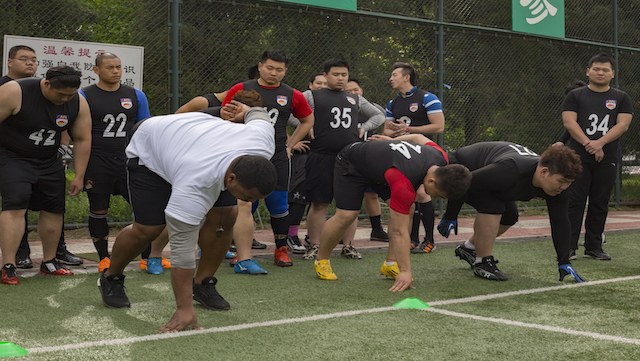 From 8 am until well past 6 pm, more than 200 Chinese pro football hopefuls were measured, tested, and put through the paces for the chance at a professional contract with the CAFL, which kicks off its inaugural season in October of 2016. 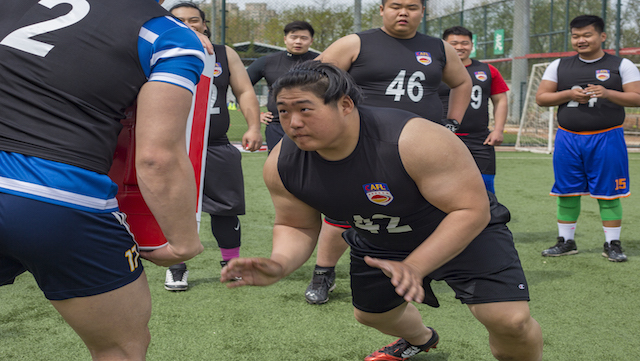 Football is played on the club-level in several major Chinese cities, and the CAFL founded a collegiate arena football program at 6 schools in 2013. 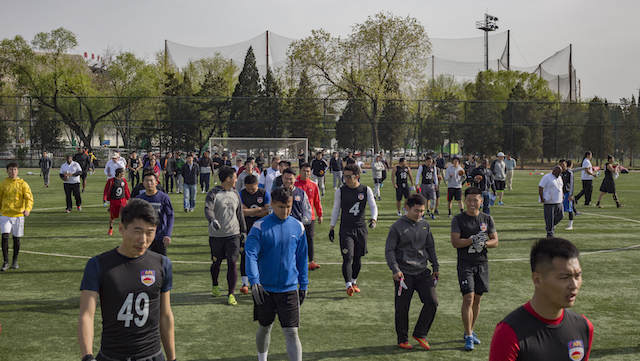 Many of those players were on hand for this combine, with another to come on Saturday April 23 in Shanghai. 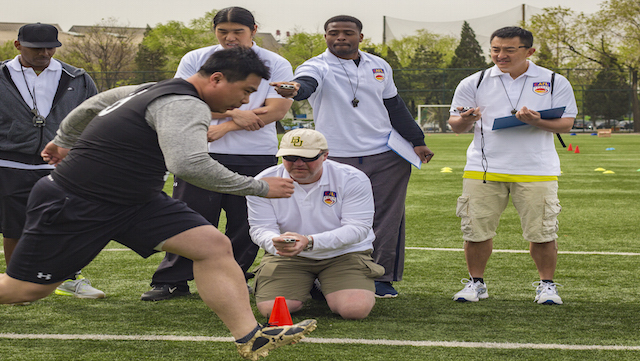 Ken Bozarth, Director of Football Operations for the CAFL watched as 8 American coaches employed the measured testing drills that have become so popular in the US in recent years. These coaches will lead the original 6 teams that will compete in season one. 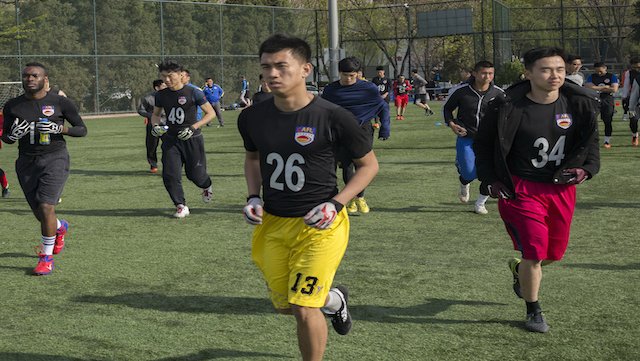 Players were divided into two positional categories and tested in two-hour periods. 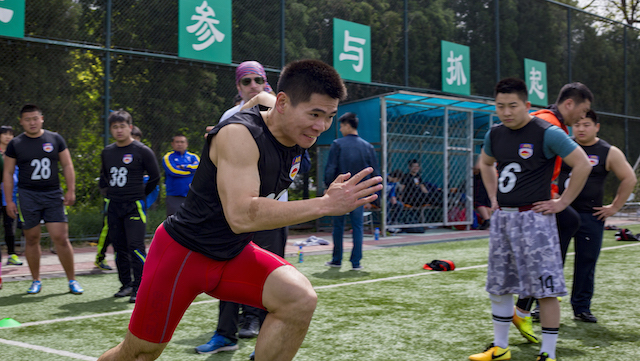 In the photo below, a wide receiver hopeful hits the finish line in the 40-yard dash in 4.7 seconds, as several of the US coaches watch intently. 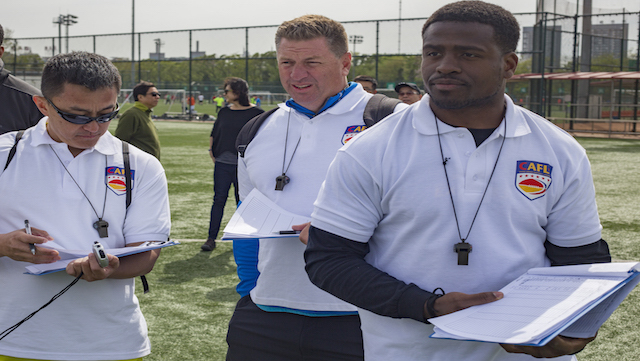 At the end of the session, the coaches huddled together to make quick decisions and cuts. 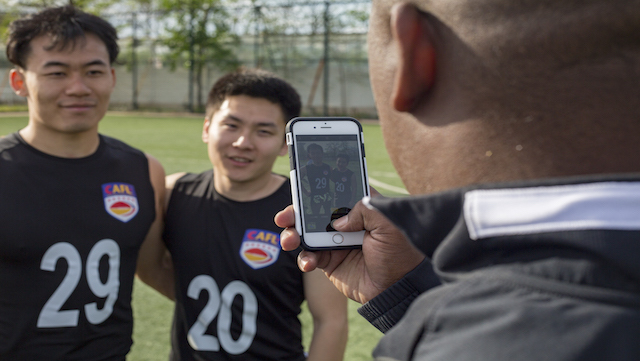 Later, they will bring their personal notes and photos (seen below) of the players who most impressed them and will begin writing formal scouting reports in preparations for the first-ever CAFL player draft, to be held in June. More photos below of the Tryouts and Combine! OL learning 3 point stance for the 40 yard dash. Players do some running warmups. WR participating in 40 yard dash. 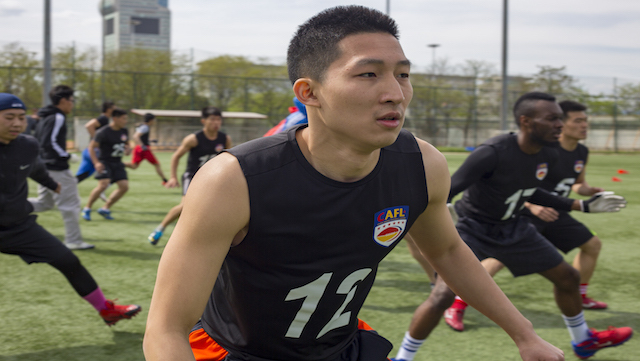 Click the CAFL Shield below to visit our Facebook page for more info and photos! 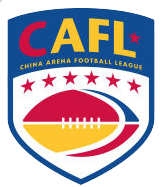 Newer → Spalding joins The CAFL Team!